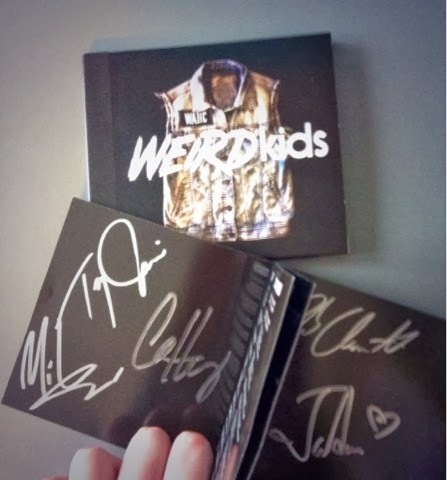 Weird Kids (Amazon link), We Are The In Crowd’s second musical outing, is a record infused with youth, rebellion and attitude in spades, that speaks to all those who feel lost or like misfits – which is most people really, because after all “we’re all just weird kids in the end”. This record has built on the foundations of their debut album, maintaining the fun, energetic, pop-punk sound, but bringing a bit more experience and maturity to the table this time around. The slow build of “Long Live the Kids” provides a great dramatic opening track, while “Windows Down” is the most stripped-back and emotionally bare the band has been. Mixed in with tracks like “The Best Thing (That Never Happened)”, which has more of a pop vibe and is dripping with attitude, things can be a little disjointed, but it does show off the band’s range. These are also the two poles of the album, with much of the rest falling in a comfortable middle ground to help blend things together more cohesively. Lyrically, the record talks of embracing who you are and chasing your dreams no matter what, with songs like “Dreaming Out Loud” and “Reflections”, which is exactly the sorts of things that young people need to hear, especially those who feel like they’re a little different. With an anthem-like style on many tracks, it’s easy to pictures venues full of fans singing back these words, and the dual male/female vocals give tracks more depth in tone and add something unique to the record, as there are few other bands doing the same thing. This is a record entirely upfront and unapologetic about what it is and who the band are, and fans should be inspired to feel the same way about themselves.